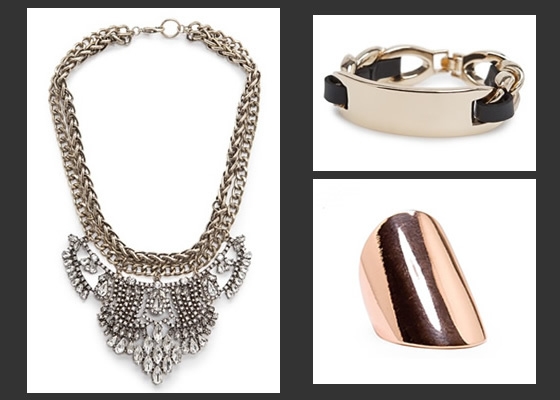 I already mentioned in a previous post that Mango has a great jewelry collection this season. Mango was always one of my top stores but normally only in the clothesline. This spring collection though is full of cool jewels, it’s really trendy, and there are gorgeous necklaces, bracelets and other items that I’m sure you will love. I personally love the necklaces; it’s my favorite item in this collection and as you can see in these pictures all are pretty big and shiny but at the same time elegant and super fashion. So pretty and affordable too! A Mango está de facto com uma coleção estrondosa!